Adam Michael has this to say “The aroma of Lime essential oil is rich lime without the sharp hollow bitter citrus tang. To my nose the distilled material is comparable to the lime scents found within washing up liquids, dilute drinks, fizzy pop and lime flavoured gummy candies which I adore. 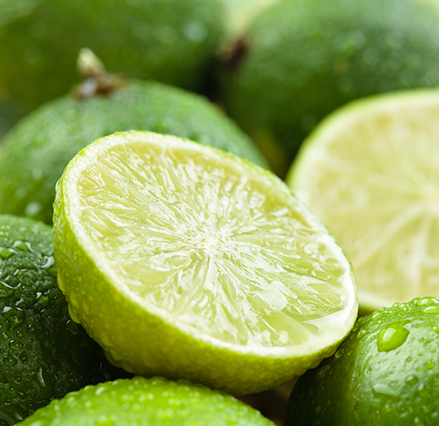 Lime distilled essential oil is a better option compared to the lime expressed material for ease of use within perfumery work as less chilling and filtering will be required. That said the lime expressed material is more sought after by the perfumers chiefly because as a top note it really does inject a wow factor in a way the distilled material is unable to. Within aromatherapy, distilled material is without doubt the safer option, has a slightly longer shelf life when stored properly and is generally a very uplifting and feel good material that is wonderful on oil burners and aroma diffusers. A great top note material, generally blends well with other citrus materials such as cedrat, yuzu and bergamot, and works wonders in tobacco creations. Also should you find that your perfume composition has become too cloyingly sweet, and especially concerning heavy florals, then minute amounts of lime can be the trick to save the day.